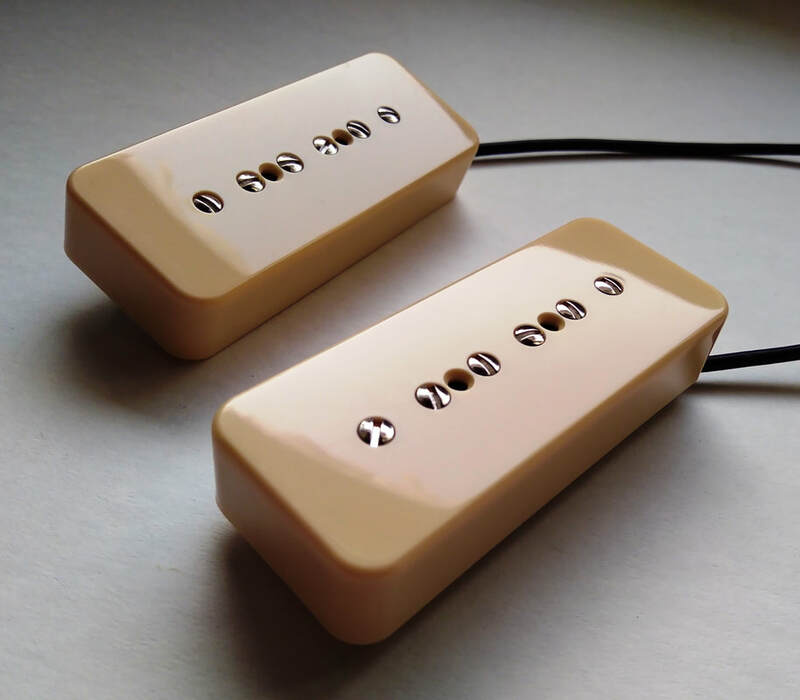 This is a classic "10000 turns of magnet wire" P90 pickup. 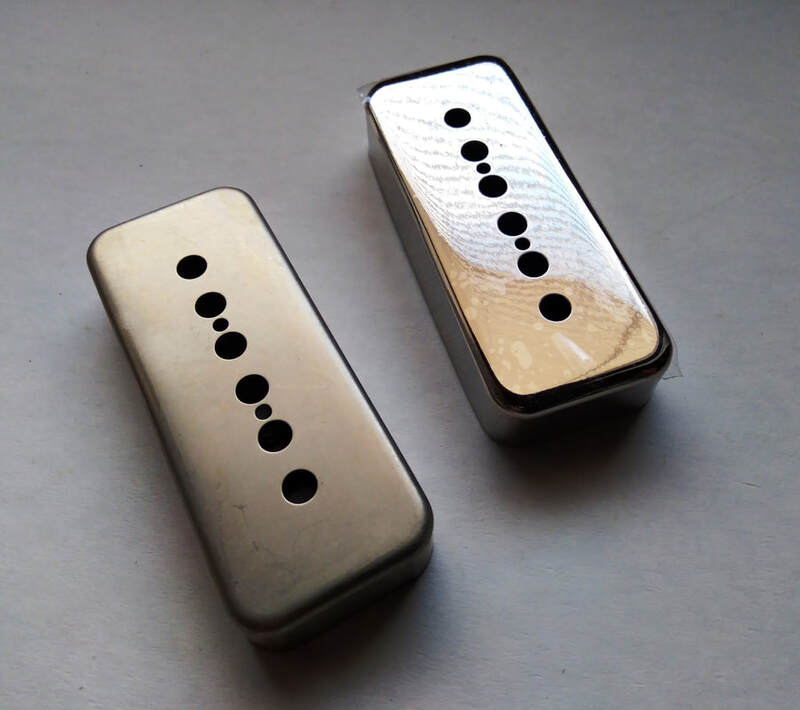 The pickup is hand wound scattered with Plain Enamel 42 magnet wire and can be equipped with Alnico 2, 3, 4 or 5 bar magnets. Neck pickup has approx. 10% less turns of magnet wire for better pickup balance. 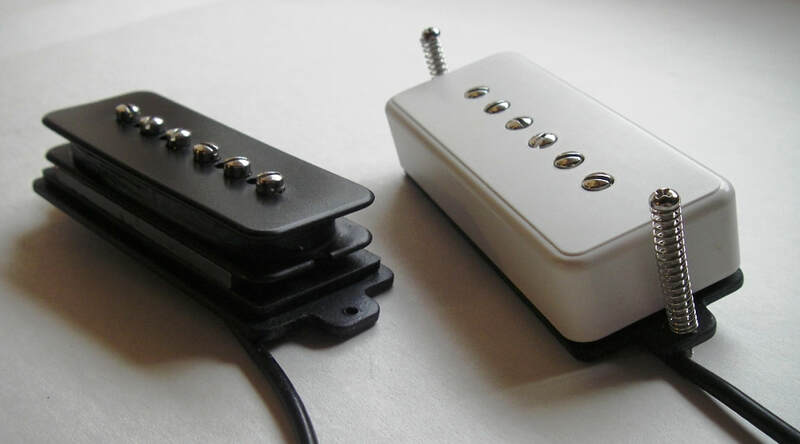 Neck pickup RWRP. ​Three pickup set available: Middle pickup RWRP. Here are short guiding descriptions of the effects of different magnets on sound. Alnico 2: Warm round lows, rich mids, smooth highs. Works great on bridge position. Second lowest strength in these Alnico grades. Vintage tone. Alnico 3: Smooth but slightly tighter lows than with Alnico 2. Less mids and more highs. 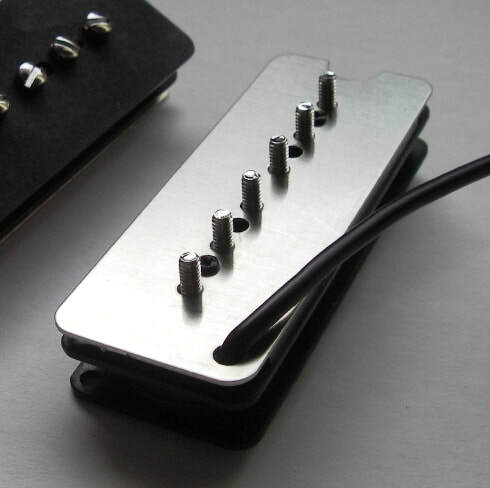 Works great on neck position but works on bridge pickup too for those who are looking for brighter vintage style tone. Lowest strength in these Alnico grades. Alnico 4: Tighter lows and crisper highs than with Alnico 2. Magnet strength is between Alnico5 and Alnico2. I use slightly degaussed Alnico4 magnets for rounder highs. 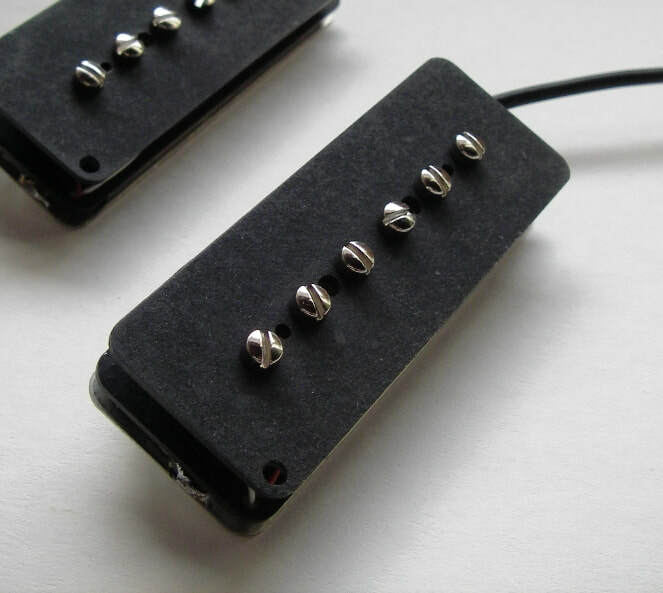 Alnico 5: Tight lows, slightly scooped mids, strong treble bite. Strongest of these Alnico grades. 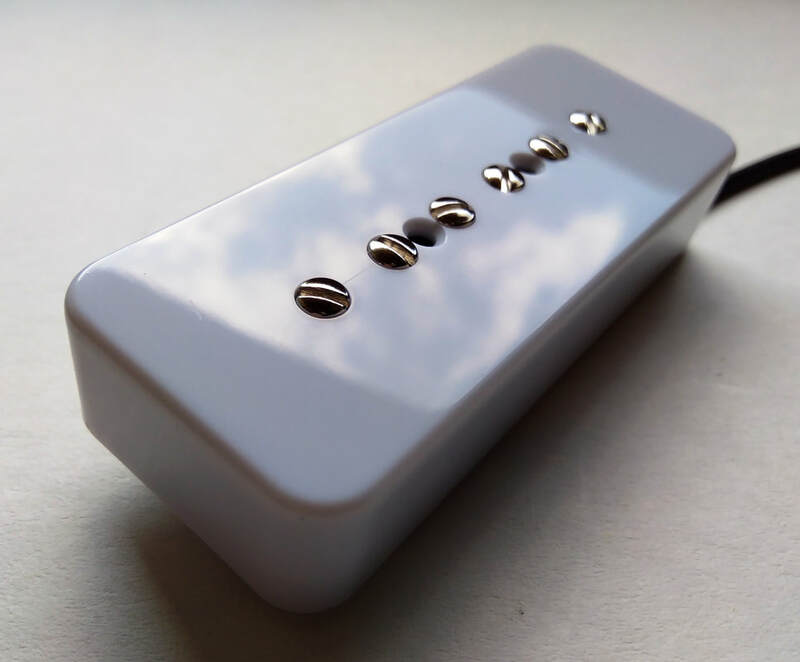 Works best on higher output P90 pickup. 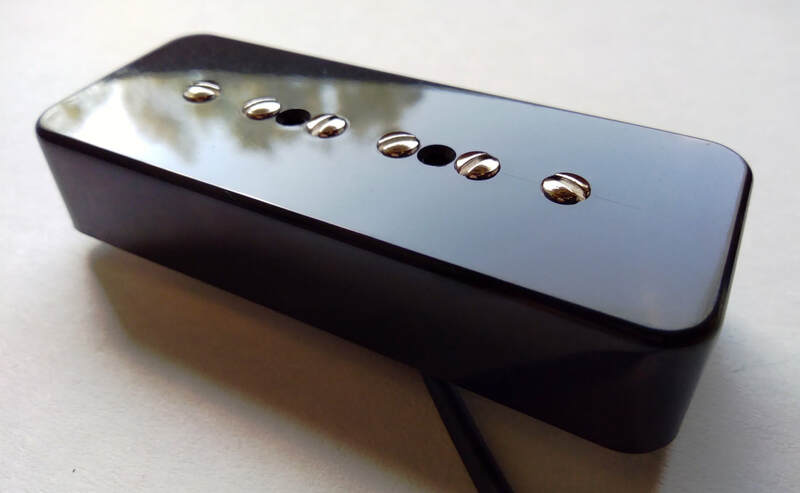 The pickup is also available with pickquard mounting. Check the pic on the left.